There are no comments for Union Heroes And The American Flag. Click here to post the first comment. This design features the top Union Generals of the American Civil War and President Lincoln. 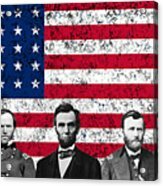 Included are Philip Sheridan, William Tecumseh Sherman, Abraham Lincoln, Ulysses S. Grant, and Joshua Lawrence Chamberlain. 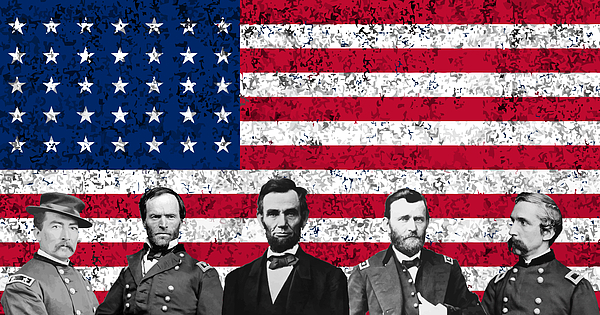 These great warriors led the armies of the north that defeated the confederates and preserved the union of the United States.